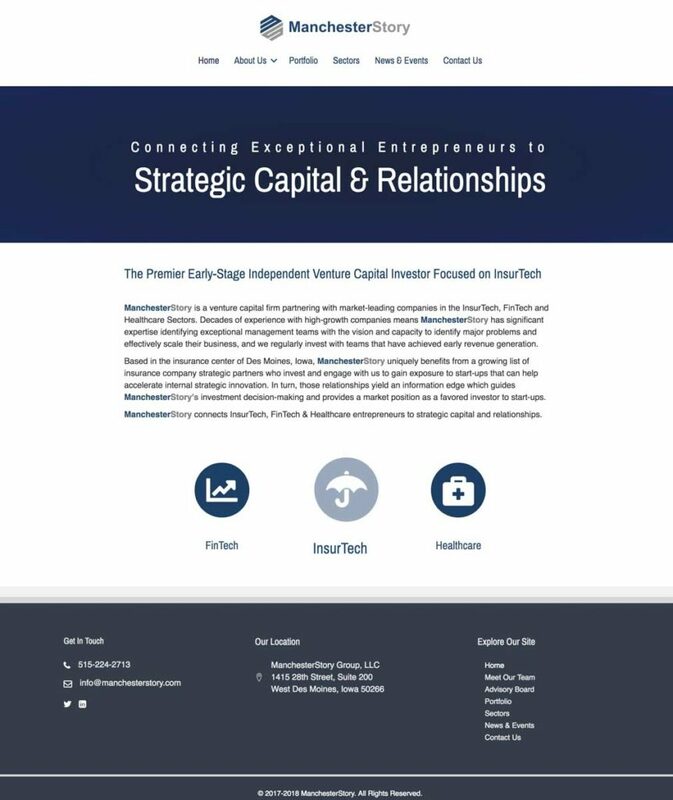 ManchesterStory Group, a venture capital firm out of Des Moines, Iowa, needed a makeover of their website. Using WordPress, Genesis, and Beaver Themer, we created a minimalist site with deep blues and grays. For functionality, the client needed to provide information to investors, including their bios, the Advisory Board bios, a portfolio, a secure contact form, and a little about the sectors that they specialize in. ManchesterStory also wanted a place to feature their news and press releases, which is included on the site. As of now, SEO is not needed for this firm and can be added in the future should their needs change. This was a highly efficient project thanks to both the client and their media representative, Jennifer Overhulse of St. Nick Media, knowing precisely what they needed and wanted.